It can be easy to forget that even great sagas are constituted of mere moments, and that sometimes the smallest, most personal of scenes can carry a story’s greatest emotional weight. 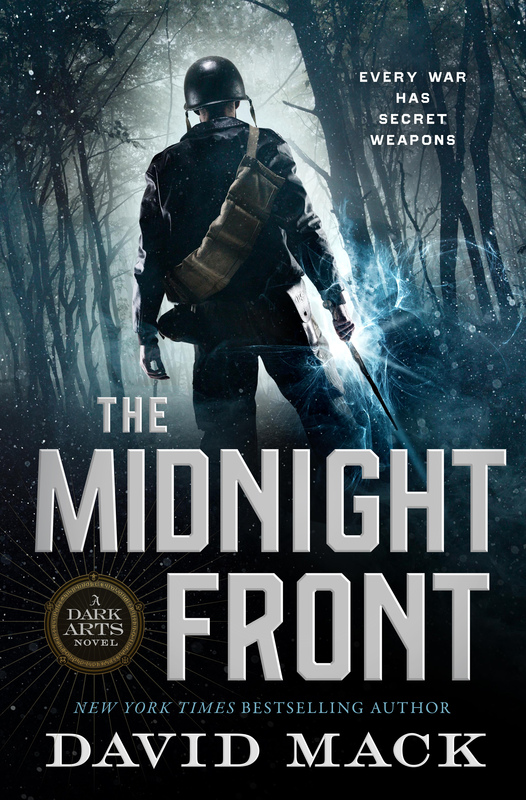 The Midnight Front is many things at once: it’s a sweeping World War II epic; it’s a dark fantasy that chronicles a bitter secret war between rival groups of sorcerers who wield black magick; but at its heart, it is about a small cadre of magicians who grow to care for one another like family. Underscoring that theme is the fact that several of my magic-using characters are orphans, have been cast out of their families, or have otherwise found themselves alone in the world. This is true of my main character, Cade, who loses his parents early in the story; my female lead Anja is cast out of her home as a teen and de facto adopted by the Allies’ master magician, Adair. Last but not least, one of Adair’s senior apprentices, Niko, has long since lost his parents, and over the course of the novel he, too, loses what few kin he has left, in a debacle that leads to the death of fellow apprentice Stefan and causes a bitter rift between Niko and Adair. Drenched in his own blood, Niko propped himself against a tree and pulled his enchanted mirror from a coat pocket with a quaking hand. “Fenestra, Adair.” He was shaken by a hacking cough full of blood while he awaited the master’s reply. Searchlights slashed through the trees as the Germans followed his swath of destruction through the woods. Niko put the barrel of his pistol into his mouth. I will not be used against my friends, as Stefan was. SS troops surrounded him, submachine guns at the ready. In the name of love, Niko pulled his trigger. As the remote image vanished from Adair’s mirror, the master expected to confront his reflection — but like the Fool gazing upon Lear, he saw only his shadow. He pounded the floor with the sides of his fists. How could I have doubted that lad? Loyal to the end. Braver than I knew. Tears streamed from Adair’s shut-tight eyes. Niko’s last words haunted him. Adair’s chest heaved with painful sobs for which he had no breath, so his body shook in near silence as he surrendered to his heartbreak. I love these related moments. Though Adair and Niko are just supporting characters in the novel, this moment speaks to one of the truths of the narrative. What bonds my heroes through all of their struggles and setbacks is genuine affection. By comparison, the concerns that drive their foes, the Thule-Gesellschaft (which was a real occult society that helped spawn the Nazi Party) and its leaders (Kein, Briet, and Siegmar) seem to be self-interest, fear, and a desire to see the world burn. If the villains of my story represent a family unit, it is a dysfunctional one at best. But Adair’s last moment with Niko … it breaks my heart every time I read it. Niko still feels guilty for having set in motion the events that killed Stefan, who he loved like a brother. Just as poignantly, up until the moment of Niko’s sacrifice, Adair still carries anger and resentment toward Niko over that error. But when Niko refers to Adair as Père — that heartfelt moment, that simple choice of words, expresses a lifetime of love and respect. And then it’s followed by a devastating act of self-sacrifice. Without those words, it would still have stung Adair to see Niko die. But after that valediction, the moment becomes more profound: for the second time, Adair loses a man who is like a son to him. It is a tragedy in a novel replete with loss, death, and destruction. But in its sorrow there is also hope: the belief that love will win the day. Even as Niko faces his own end, he urges his surrogate father to look toward the light. He believes in him. Perhaps it’s a romantic delusion to think that love and hope alone are enough to win a war — but without them, there’s really nothing left worth winning. 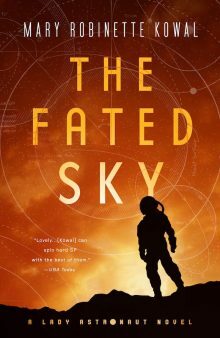 David Mack is the award-winning and New York Times bestselling author of more than thirty novels of science fiction, fantasy, and adventure, including the Star Trek Destiny and Cold Equations trilogies. His new novel The Midnight Front is available now from Tor Books. Mack’s writing credits span several media, including television (for episodes of Star Trek: Deep Space Nine), film, short fiction, and comic books. He resides in New York City. Hi, Mary! 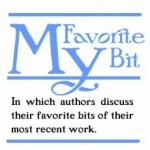 Thank you so much for letting me share this on your blog. I appreciate your generosity in sharing your virtual real estate in this manner. Until we cross paths again, may you enjoy health, happiness, and success.